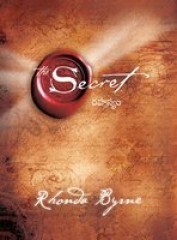 The Secret - Rahasya (Telugu) is the Telugu version of the book written by Rhonda Byrne. The original version of the book was written in English and translated into various languages, including Telugu. The book reveals the life-transforming secret to happiness and success, which is supposedly many centuries old. According to Byrne, many successful and intelligent people like Einstein, Leonardo, Galileo, and Plato knew the power of the “Secret”. References to the Secret are found in our philosophies, religion, literature, traditions, and history, but they were never directly exposed to the World. The knowledge of the Secret since centuries has been accessible only to an elite few. The Secret is now revealed in the book by eminent authors, thinkers, philosophers, and scientists. The Secret, which is based on the Universal Law of Attraction, gives the readers the power to attract whatever they want in their life from the universe. One can now be the master of his/her own life by understanding and applying the Secret. Rhonda Byrne attempts to present life-changing concepts through The Secret - Rahasya (Telegu). The author combines scientific thought with spirituality and age-old wisdom to present the Secret to the readers in a stimulating and effective manner. Rhonda Byrne is a writer and television producer from Australia. Other books written by her include The Magic, The Power, The Secret Daily teachings, and The Secret Gratitude Book. Her book The Secret was also released as a movie with the same name and won critical acclaim. She featured in Times Magazine’s list of 100 people who shape the world in 2007. She has also appeared on the famous Oprah Winfrey Show. Publisher Manjul Publishing House Pvt. Ltd.